Creating drone operation intelligence for your Remote Operator Certificate is key to making informed business decisions. Recording of flight data is usually seen as an unpleasant duty, a compliance requirement completed under duress. However, this data, if collected accurately, can provide some important insights into your drone operations and drive smarter operational decisions in the future. What the Chief Remote Pilot is required to record. The Chief Remote Pilot could now identify information regarding battery performance and aircraft cost per flight hour. A simple increase in data capture provides powerful drone operation intelligence for the Chief Remote Pilot. For example, a set of TB48 batteries for a DJI M600 retail at approximately $2000. If the batteries last 150 cycles, every time the batteries are charged the expense is $13 in acquisition costs alone. As a Chief Remote Pilot the main tool for drone operations is the operational documentation suite. This suite sets the tone for what information needs to be recorded and retained. New operators usually rely on the CASA templates which include paper based records. When operations are in their infancy and flight hours are low, paper records are cheap and cheerful. There is nothing wrong with maintaining a crawl, walk, run mentality provided accuracy of the data is maintained. The same drone operation intelligence can be extracted via a paper method, though it is time consuming to process and becomes exponentially more difficult when additional aircraft and/or remote pilots are added. The leap to digital is the time-saver. Maybe now the Chief Remote Pilot shares a spreadsheet over a common cloud. Formula can be used to automate the collation of data and data can be visualised through charts and graphs providing a quick method to interpret the insights that the operator needs. Some flight applications such as DJI Go record flight information for you during flight. While this is an efficient way to capture information, further work is required to extract meaningful information. There are other CASA requirements besides the collection of flight data. Flight authorisations, Job Safety Assessments and Risk Assessments are also required as part of the Remote Operator Certificate. Again, without systems and processes recording of such information can seem laborious. With the view of increasing drone operation intelligence, potential issues can be captured before they occur. 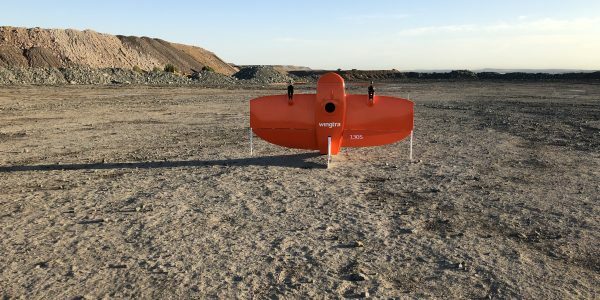 As the operations under the Remote Operator Certificate grow, cloud-based applications such as AVCRM begin to increase the drone operation intelligence level further. Multiple locations with multiple remote pilots become easier to visualise increasing the intelligence from what has been, to include what the future holds. Senior Base Remote Pilots can be nominated for the Chief Remote Pilot to delegate tasks. Chief Remote Pilots can easily manage flight approvals, personnel qualifications and training requirements within the same portal as flight data is collected. Simple colour codes give a view of potential issues before they occur, increasing uptime and ultimately profit. Standard reports across all recorded data provide insights into the Remote Operator Certificate at the push of a button. Standard prices on already developed applications such as AVCRM, allow budget to be allocated to drone operational intelligence at a known price. When all available drone operation intelligence is not enough, create your own. Many options exist to create a custom database capturing all key criteria for your operation. These can also double as Customer Relationship Management tools providing a view from initial lead through to job completion. Not for the feint hearted, custom applications can go as far as allowing the introduction of artificial intelligence. This can provide opportunity to create dashboards analysing hundreds of data points internal and external to your organisation. For fans of Air Crash Investigations, it is the perfect example of collecting information and strategically using the intelligence to provide future safety outcomes. Government organisations have been collated information for years on aviation accidents. Aviation learns from the past and applies learnings to future operations making aviation safer for everyone. The same system applies for drones in Australia. If all Remote Operator Certificate holders reported all accidents and incidents collectively, not only would drone safety would increase but drone operation intelligence across all operators. Recording of flight data should not be a chore. Instead capturing of data should be an opportunity to learn and improve. As the use of drones matures, the operators with drone operation intelligence will prevail.